Aquariva Blanco Mexican Silver Tequila is a popular Tequlia available from DrinkSupermarket.com in 70cl to buy online. Visit DrinkSupermarket.com for the best price for 70cl of Aquariva Blanco Mexican Silver Tequila or compare prices on our other Tequlia products. AquaRiva Blanco is rested after distillation for 14 days before bottling to guarantee no alcohol burn. The flavour is exquisitely smooth with citrus fruit , a hint of white pepper and a light fiery tingle on the tongue. Extremely delightful to sip as a shot. AquaRiva is a symbol of high quality, a taste for the best and a good time for all. Multi-award winning, produced and bottled in an organically certified distillery. Where to buy Aquariva Blanco Mexican Silver Tequila ? Aquariva Blanco Mexican Silver Tequila Supermarkets & Stockists. 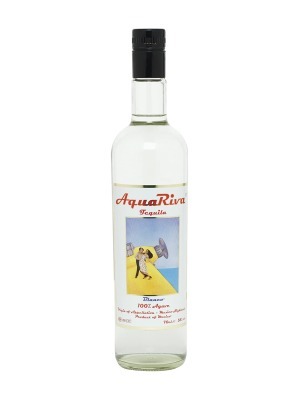 You can buy Aquariva Blanco Mexican Silver Tequila online in most retailers and find it in the Tequlia aisle in supermarkets but we found the best deals online for Aquariva Blanco Mexican Silver Tequila in DrinkSupermarket.com, TheDrinkShop, and others. Compare the current price of Aquariva Blanco Mexican Silver Tequila in 70cl size in the table of offers below. Simply click on the button to order Aquariva Blanco Mexican Silver Tequila online now.